This was the scene last night at our house. After a full weekend of family, food, and entertaining we quickly transitioned into Christmas. The Nutcrackers joined us once again, Carter built a gorgeous fire, we turned up the Christmas tunes (which, let's be honest, were playing all weekend) and relaxed. Now to hit slow motion as I delight in every moment of my favorite season made even more special this year because I get to share it with Ana Claire. I hope you had a beautiful holiday and that you too are enjoying the final weeks of this year. Very pretty!! I love Nutcrackers too. 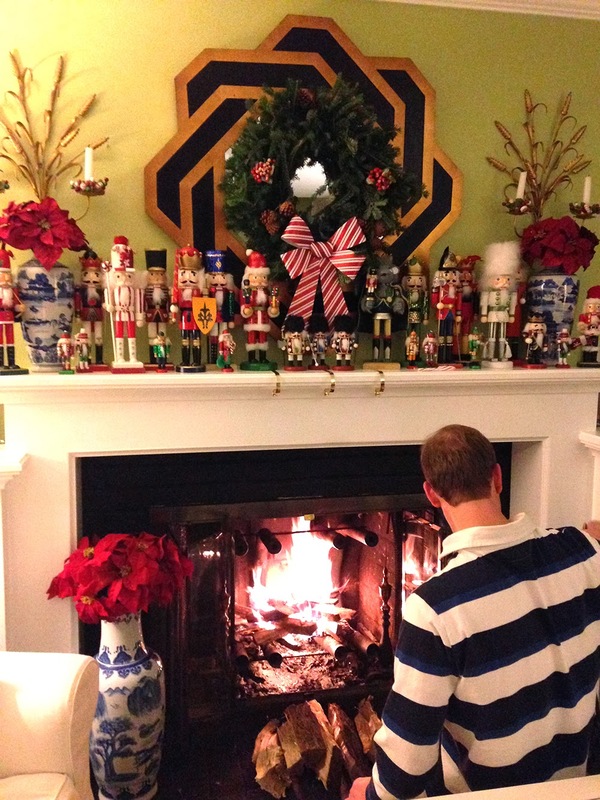 Big collection on fireplace. Have a wonderful December!